Customized, efficient and successful solutions that fulfill your requirements for websites, eCommerce and other web projects. You are looking for a WordPress agency with very experienced professionals? What kind of WordPress service can we offer? Do you search for a competent partner for your WordPress project? Or do you need some help with your online shop? Maybe you search someone to help you with your website relaunch? Or do you want a comprehensive consulting before deciding anything concerning your potential web project? Whatever you think of – the road from the initial idea to a finished project is long. You will need a competent partner to accompany you along the way. A successful project needs good preparation and planning to ensure trouble-free progress. Inpsyde functions as an interdisciplinary team consisting of project managers, concept creators, developers and designers. Our WordPress service covers the entire spectrum of web technologies. Our role in your project depends entirely on your concept and your wishes. WordPress, WooCommerce and Inpsyde as your “WooCommerce Gold Expert”: the right trio for a successful web shop. You are planning a relaunch of your website or web shop, or maybe a migrating it to a new server? Get us on board! WordPress is made for security – you should also safeguard your entire server infrastructure to make things harder for hackers. Utilize date from your third-party systems (SAP, ERP) in any format, via their API. High-availability, secure and controlled data workflows. Focus on your core business, while we take over all maintenance tasks to ensure trouble-free use of your systems and provide qualified support. You will not only get to know WordPress – you will learn about a lot more and can tackle specific topics of your choice with your personal trainer. 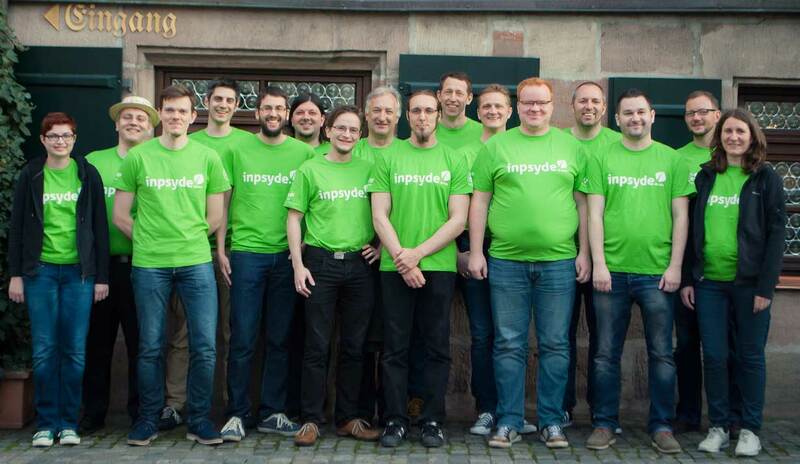 The Inpsyde team: young, friendly and competent. We want your ideas and wishes to come true. That’s why your task becomes our common goal from which creative dynamics and motivation are born. With concentrated competence in a very experienced team we give our best to make your idea reality. We commit ourselves to this and these goals. We want to become and remain your WordPress agency No. One. Because identification generates commitment and perspectives.